Wait – R4? What about R3? Well, there is no R3. Not sure why. We are going from R2 up to R4. If you are not sure what revision you are running, here is a simple FAQ on how to get that information. At this time the details on the update are sketchy. The update page has a link for “what’s new” but it doesn’t list any of the R4 information (I suspect that will change shortly…). The primary changes that I am aware of relate to the removal of annoying Intuit advertisements that took up too much space in the 2010 release. How about the Company Snapshot? I really like this feature, which allows you to customize the “widgets” that appear. However, there was that Recommended for You widget that took up valuable space on the top line. With R4 you can simply close the widget now, releasing that space for more important things. One issue that really bugged people was the Accept Payments advertisement on the side of the Receive Payments and Sales Receipts screens. Not only could you not turn this off, they took a lot of space in these screens. People with small monitors couldn’t use the program because these features were so large. With R4 you can close the toolbar by clicking the link. While playing with the Company Snapshot I noticed that they have added a Payment tab that I haven’t seen before, and it has additional widgets available. Another Recommended For You Widget appears here by default, but you can close this one as well. I like the Widget idea, I’m very glad that they are adding more. I wish that third party developers could create widgets here, but that would be hard for them to manage. There may be more than this, but these are the two that I’ve been able to confirm at this time. There should be more of these kinds of things available in another update coming next month. At this time this update should go out on automatic update on December 21st. Yes, interesting…..the R4 update is still not available as of early Thursday a.m., and was there a R3 that I missed? Not according to what is available for download….thanks! Sherry, I hope to have more on this later today, then I’ll update the notice. R3 wasn’t released publicly. I know that they did a beta test, but it didn’t go out. Lots of reasons why that might have happened. R4 was announced in one of the Intuit blogs, and I was able to download it (which is where I got the screen shots from), but then it was pulled back after I wrote my article. I hope to have more on this later today. I’m guessing that a problem was found and they don’t want to push it out yet. 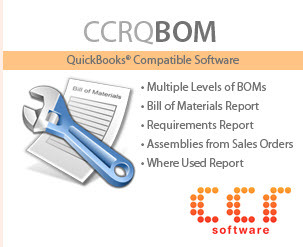 We regret the confusion surrounding the R4 release for QuickBooks 2010. The team is working diligently to resolve the sales tax report issues and, in the meantime, has removed the R4 patch for QuickBooks 2010. We will inform users as soon as we have more concrete information and timing to share. I apologize for problems that we caused with the year-end releases. Sorry, couldn’t resist — a typo that is quite funny to read! Thanks for keeping me on my toes, Chris. I’ll correct that. This all came out in a flurry and I wrote it in haste. 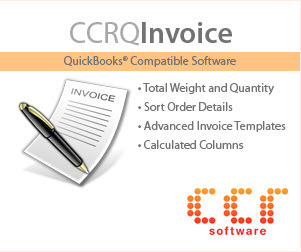 I recently upgrated to Quickbooks Pro 2010, from 2004 version, and it is great! 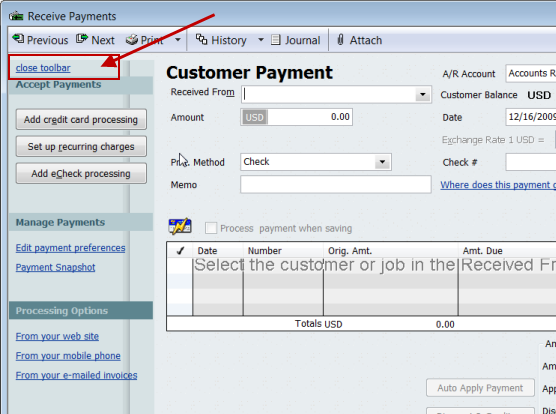 However, there is one feature that I do not seem to be able to turn off, when I add an invoice of a payment the “Quickbook Web Brower” page comes up and after 45 seconds it says that the page cannot be displayed. It really is annoying and a waist of time, if I have onehundred transaction to enter I have to click to close the windows 100 times. Does anyone know how I can turn this off, or if there is a patch for this I need to install?. Is it possible to use the Financial Statement Designer from Prem Acct 2008 by locating the “folder” it is in while in the Prem Acct 09 or 10 versions instead of having to purchase the Intuit Stmt Writer program? additionally I cannot get rid of the “special offers” on the top line even after turning off the preferences for messages- any thoughts on that? Peggy, I can’t answer that. I’m going to guess that you can’t get the FSD to work with Premier 2010 at all. But I haven’t tried that. Let us know if you find a way to make it work. Got a problem with Multi-Currency. If you happen to use a different HOME CURRENCY (JPY/CAD) you’re pretty much F’D. So let’s say your HOME CURRENCY is JPY. When you add a USD product, enter cost, sales price, etc. the COGS account will be under your HOME CURRENCY. You cannot add a USD COGS. Ok so what? That’s how you’re supposed to record it right??? Sure but when you go to PURCHASE ORDERS the USD PRODUCT COST will be in your HOME CURRENCY. So instead of the item reflecting a 50 USD price you’ll get 50 JPY. 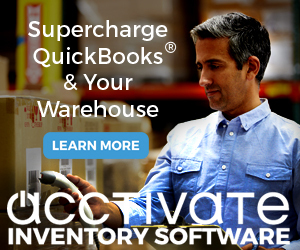 You’ll have to manually change the item cost every time you do a PURCHASE ORDER!!! “can’t open” isn’t very specific. You will need to give us some more details.